Thirty companies from Puerto Rico, U.S., Latin America and Europe presented their ventures to a group of international investors at Parallel 18’s Third Generation Demo Day in the Emilio S. Belaval Theater at Sacred Heart University in Santurce. Marketplaces for men’s grooming, personal trainers and live shows, a college retention service that uses technology to track absenteeism, were among the companies that presented to a theater packed with over 300 investors, executives from recognized companies, entrepreneurs and students while more than 100 connected to the live streaming via Sagrado.TV. Sebastián Vidal, Parallel 18’s Executive Director, emphasized that the third generation is an interesting combination of industry enterprises: e-commerce, IT, financial technology, education, tourism, among other, with different focus on the consumer as well as corporate clients. All the companies are on its expansion phase, and were seeking capital from $200,00 to $1 million during their Demo Day presentations. “For almost 20 weeks, these entrepreneurs have worked hard to accelerate the growth of their startups and improve products to the level that they’re at today, when they’re ready to present to investors,” added Vidal. “We definitely know that Parallel 18 is one of the key programs that’s going to transform the economy of Puerto Rico and it’s going to help achieve that vision,” said Crespo, referring to the vision of the island becoming a global innovation hub. During its presentation, some international companies highlighted among their achievements the hiring of local employees and establishing operations in Puerto Rico. Among those are MakersValley, a platform that connects manufacturers and designers; INK’A, a brand and marketing inventory manager; and Cleancult, a toxic-free cleaning products enterprise, that thanks to a local partnership will be manufactured in Puerto Rico. Participating local companies also shined during the event, with Pick My Stuff, Lunchera, Bien Cool, Compra Fresca, Global Flavors, and ZipDatum, a geospatial platform that verifies addresses. As part of the event, two of the presenting startups were awarded audience and investors awards. The local delivery integrated system, Lunchera, won the People’s Love Award sponsored by AT&T, selected by the audience via text messages. While Transparent, a company that provides data to the short term rental property industry, received the Investors’ Award, selected by the panel of international investors and sponsored by the pharmaceutical Merck, UPS and Morro Ventures. 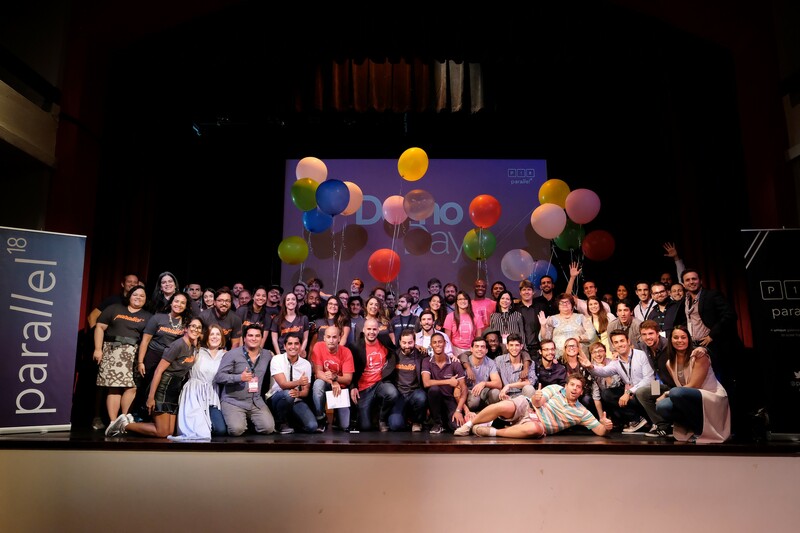 DemoDay is the culmination of the 20-week program that accelerates growth for innovative and disruptive startups with fewer than three years in operations. Since its launch, Parallel18, an economic initiative that promotes entrepreneurship and global scaling from Puerto Rico, has hosted over 90 companies, with another 30 starting the program in August. The program is part of the Puerto Rico Science, Technology and Research Trust, in collaboration with the Puerto Rico Industrial Development Company and the Department of Economic and Commercial Development. The recent Impact Report for the first year of operations can be seen at parallel18.com. Parallel18 is a startup accelerator that represents a unique gateway for global startups to scale from Puerto Rico.